FreeVimager is a Free and Fast Image Viewer and Editor for Windows. It allows you to modify pictures in an easy and simple way. There are many tools around doing that, but the aim of this Freeware is to be a small and handy tool doing what it says and running also as a standalone exe file (installer not necessary). 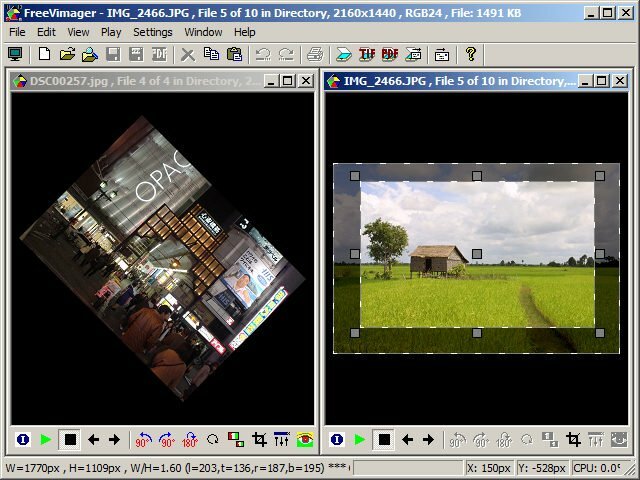 FreeVimage supports a wide range of formats such as JPEG, BMP, GIF, TIFF (multi-page), PNG, PCX and EMF. Also it supports EXIF, IPTC and XMP. Moreover, FreeVimage can save image as PDF file. The application also allows to adjust contrast, brightness, sharpen, size, focus, etc. Furthermore, you will be able to remove the red eye effect and check EXIF information. Finally, with FreeVimager you’ll be able to create slideshows and presentations just selecting them and clicking a button. Supported Operating Systems: from Windows XP SP3 up to Windows 10.